The Union of the Comoros, which gained independence from France in 1975, is an archipelago in the Mozambique Channel which shares maritime borders with Mozambique, Tanzania, Seychelles, Madagascar and the Glorioso Islands. 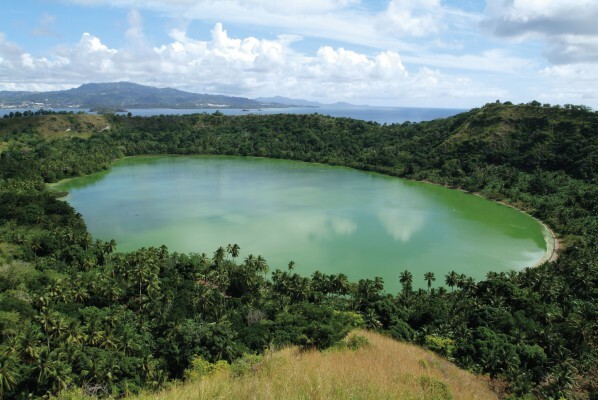 In terms of area, the Comoros is the third smallest African nation with a population of roughly 800 000 people, half of whom live below the international poverty line. Since independence, the Comoros has endured 20 coups, and it was only as recently as 2006 that it experienced its first peaceful transfer of political power. Since 2008 there has, however, been what can be described as a steady reversal of the aforementioned observations. Not only is the Comoros currently ranked 32nd by the IIAG, Freedom House, in its ‘Freedom in the World 2014’ survey, has not elevated the Comoros’ ranking and continues to label the country as “partly free” due to, among other things, weak rule of law and restrictions on political rights and civil liberties. These worrying trends vis-à-vis good governance, the rule of law, political rights and civil liberties, can, however, be juxtaposed with the recent rise of the oil and gas industry in the Comoros. As will be discussed in more detail, the upswing in industry-specific legislation and the growing presence of international oil companies (IOCs) are indicative of a change in status from a “lost archipelago in the oil game” to an archipelago that is, with increasing regularity popping up on the radar screen of the industry, so to speak. Before focusing on the advances that the Comoros has made in the so-called oil game, it would perhaps be inappropriate not to flag an issue that may arise from the reversal of the aforementioned observations. Players in the African oil and gas game belong to a somewhat obstreperous industry that, motivated by mankind’s inveterate hunger for superbly valuable resources, is renowned for operating in jurisdictions where the more scrofulous elements of the industry can flourish with relative ease. 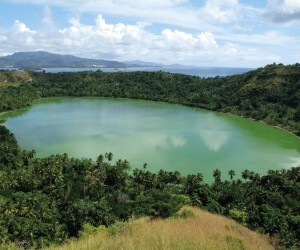 As such, the significant waning of the respect the Comoros initially garnered from the likes of the IIAG, when met with the recent rise of oil and gas-related activities in the archipelago, could lead to a situation whereby commentators on the African oil game will, when writing about the Comoros, find themselves lethargically regurgitating the clichés of ‘dutch disease’, ‘resource curse’ and the like. The extent to which the Comoros will be able to assuage the threat posed by the disagreeable members of the industry remains to be seen. Whatever the Comoros’ future in the oil game may prove to be, it must, like so many other African jurisdictions with nascent oil and gas industries, endeavour to ensure the entrenchment of administrative probity on the part of the regulators and, combined therewith, a settled regulatory environment that has been designed to incentivise exploration by reputable IOCs that possess the necessary technical expertise and financial means. Fortunately, unlike so many other African jurisdictions, the Comorian government has in recent years taken steps that demonstrate a distinct desire to achieve these ends. At the beginning of 2013, the government implemented a new Petroleum Code that is on a par with international standards and, shortly thereafter, signed an exploration and production-sharing contract (PSC) with Kenyan-based Bahari Resources Ltd and Discover Exploration Comoros BVC, a unit of London-based Discover Exploration Limited. That which is interesting about the PSC, which received formal approval by the National Assembly of the Union of the Comoros in March this year and which has occasioned the archipelago’s first oil and gas exploration programme, is twofold. Firstly, from the viewpoint of hydrocarbon potential, the area under licence is Blocks 35, 36 and 37, which are on the western boundary of the Comoros and adjacent to Mozambique’s Area 1 and Area 4 in the Rovuma Delta where Eni S.p.A and Anadarko Petroleum Corporation famously made their staggering gas finds a few years ago. Secondly, the terms of the PSC include the training of local personnel, investment in community development programmes, and an undertaking to conduct a regional study of the entire Comorian territory, the results of which will be used to assist with the demarcation of additional blocks and the attraction of additional upstream-related investment. Notably, Bahari and Discover are not the only IOCs that have taken an interest in Comorian acreage. Mauritius-based Safari Petroleum, in partnership with United States-based Western Energy Production, has recently been authorised to explore three of the 40 blocks that have thus far been demarcated. significant reserves will be answered. In the interim, the exploration-focused endeavours of the relevant IOCs should be viewed as proverbial feathers in the hat of the Comorian government, as should the new Petroleum Code that provided the framework for the licensing of those endeavours. As things currently stand, the Comorian oil game is also a waiting game.